“Sangha” is a Sanskrit word that means, literally, a community that joins and lives together. In this sense, I sometimes use the term “network” for it, because all these various people or things that are joined together interact and form a whole. On one level, it can refer to a group of people that live, function and work together as a community. On another level, it can refer to a community of purifications and realizations on a mental continuum that also exist together, interacting and working together. More precisely, on this second level, sangha refers to the true stoppings (true cessations) of true sufferings and their true causes, plus the true pathway minds (true paths) that led to the attainment of those true stoppings on the mental continuum of an arya. That arya can be either us or someone else. These true stoppings and true pathway minds also constitute a Sangha, a community living together, in other words, existing and functioning together. In Tibetan, ‘Sangha’ is called ‘Gendun’ (dge-‘dun), which means “those people or things that are intent on a constructive goal.” Gen is “constructive” and dun is “intent on”. That constructive goal is either liberation or enlightenment. So we can have a community of people that are aiming for, or intent on, reaching liberation or enlightenment, or we can also have purifications and realizations on a mental continuum and they are, in a sense, intent on or aimed at achieving a goal – also liberation or enlightenment. A student takes refuge in the 3 jewels, the Buddha, the dharma and the sangha. The sangha is a way to learn, progress and support each others progress on the path and well and an wonderful opportunity to learn from each other not only as practitioners on the path but also practice the teachings in practical life by creating a support structure though compassionate harmony. Being brothers and sisters in the mandala of the same vajra master, the sangha support is extremely essential for dharma practitioners to grow in the dharma. Sangha supports one another though sangha meetings and group meetings and practices. This binds the members with invisible strong blessings of protection from the GURU. In the process, it helps us from breaking our samaya commitments to the Lama and the Dharma, which is a crucial point of importance. We can contact other sangha brothers and sisters for any help in life or in practice, which is a strong source of strength. 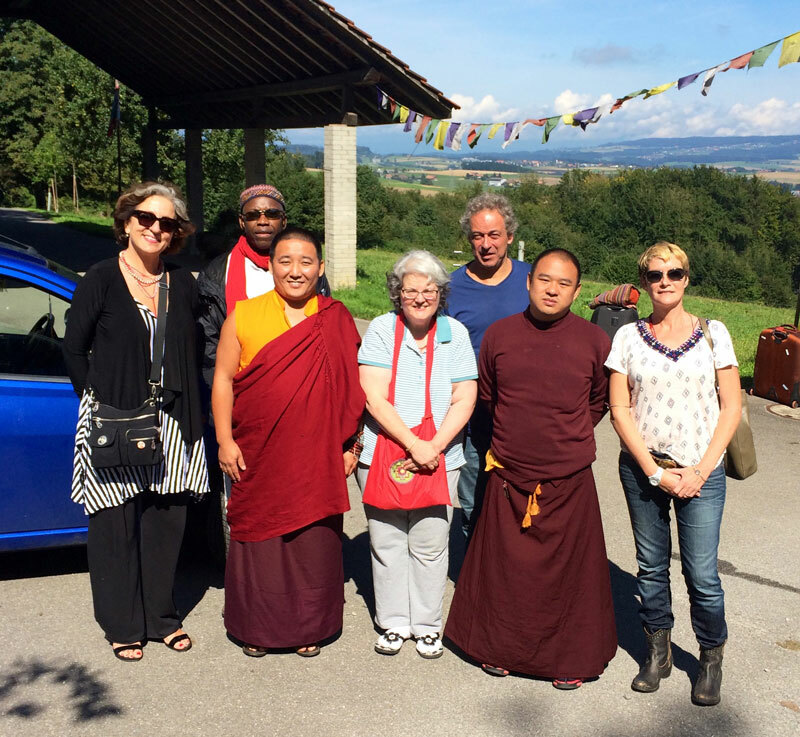 Our in person group meetings, Sangha’s occur in two regional areas, Los Angeles and New York. View the sections below for different teachings, videos and prayers. Lama Seva: This involves all the activities involving the Guru, the retinue and working with aiding in their personal service. Dharma Seva: This involves volunteer opportunities around the teachings, the texts, as well as sangha activities. Karma Seva: Karma means ‘Work’. Any activity that supports the teacher, the teachings and the sangha is considered karma seva. This can include cleaning the teaching center to raising funds for the foundation.